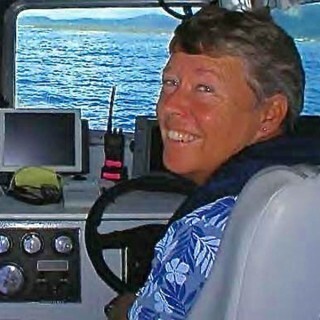 Joyce Miller has served as director of seafloor data services for the Hawaii Mapping Research Group at the School of Ocean and Earth Science and Technology, Univ. of Hawaii, since Dec. 2011. From 2001 to 2011 she worked with the National Oceanic and Atmospheric Administration’s (NOAA) Coral Reef Conservation Program at the Pacific Islands Benthic Habitat Mapping Center, leading the NOAA multibeam mapping effort in the U.S.-affiliated Pacific islands. Over the past 15 years, she and many of her colleagues on this voyage have contributed much of the bathymetric data currently available in the Northwestern Hawaiian Islands and are excited by the possibility of completing much of the remaining survey work in this area.